Lunch was simple but still in the spirit of Halloween today. Chocolate spread bat sandwiches with little liquorice bats, a cereal bar and apples as well as honey crackers and an Italian cookie, Goldfish crackers and a chocolate spread Pumpkin. Packed in our Go Green Lunchbox are cheese and crackers, Chobani Champions Banana Honey yogurt, a pretzel roll with cold cuts, a cereal bar and apples and red oranges. 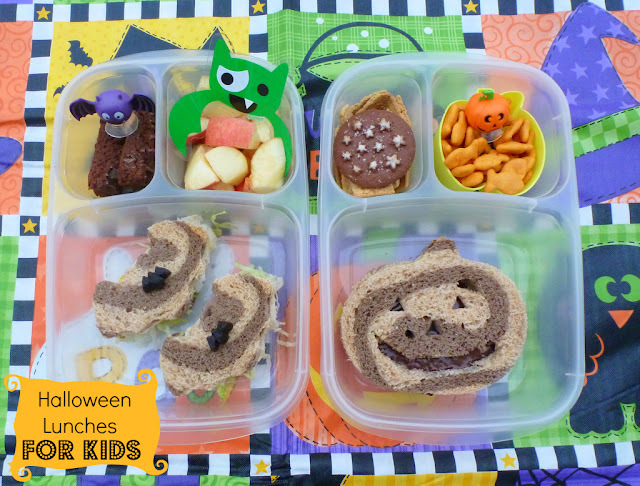 While you wait for the storm...link up ALL your great Halloween bentos over at Bento Blog Network! Thanks for all your great link ups!